Welcome to Pumpkin Paradise TN, our Fall Festival website at Satterwhite Farms. Check out our page and get directions, prices and hours conveniently all on the homepage. 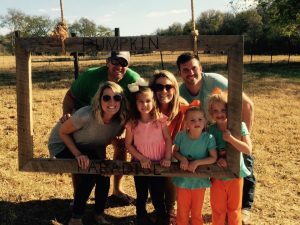 Pumpkin Paradise at Satterwhite Farms is a Family Fun Fall Festival. Can’t bring your dog, cat or even your donkey. Many times we are asked why adults are included in the number of guests who will be attending the party. Unlike other venues, our parties aren’t just for kids. Parents become a big part of the activities, they don’t just sit on the sidelines. Grown-ups get to interact and go hog wild just like they did when they were kids. Deposit of $50.00 is required for reservations and is fully refundable if cancellation is made at least 2 weeks in advance. 3187 Indian Camp Springs Rd. Pumpkin Paradise offers a fun filled farm experience. Whether you are looking for a close place to have a field trip, an exciting birthday party, or just need a place for the kids to run off some energy, we are the place for you! We offer swings, slides, corn box, pedal track, climbing tires, inside hay maze, sit n’ play, flying pigs, gravel pit, and much more. Be sure to stop by the farmer’s garden and see what we are growing. Make sure to take a ride on the hayride, spot some cows and learn a few things about them. Don’t forget to the read the signs posted around the field and see what you can learn about being a farmer.